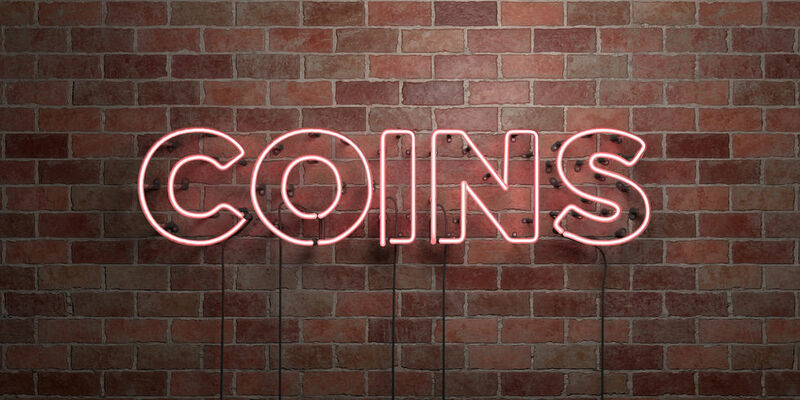 If you shop for coins online or from dealer advertisements in magazines and newspapers, then you've likely come across a few familiar marketing phrases with each of the coin ads you've come across. Some of the phrasing is legit, such as "our business is rated A+ by the Better Business Bureau" or "Member of the Professional Numismatists Guild." In fact, if you don't see any of those claims, you may want to tread carefully. But do you know the four phrases that really set off alarms signals in the heads of experienced coin collectors? Check out these marketing terms below that are often used to snag buyers into making spur-the-moment – though sometimes regrettable – purchases. "Gold Will Hit $5,000 Per Ounce"
This is one of the most common claims in the book… It sure seems like there are a lot of bullion prognosticators out there! The weird thing about all of these confident predictions is that there is no crystal ball in bullion investing. A lot of gold bullion coin advertisements are designed to make their readers think this is the last chance to buy gold before it goes through the roof. The reality is that gold is always going up and down. Even in bull markets, gold will still tick – sometimes plunge – downward every now and then. Gold is never on a permanent rocket ride up, and only up. And that $5,000 claim? Gold bullion dealers have been saying that for years. Sure, gold may someday hit $5,000 per ounce, but the only way it's going to hit $5,000, given foreseeable market conditions, is if there's a global catastrophe. And then? No one will care what gold will be worth because all they'll want is food, water, and shelter. Then again, those holding gold and silver sure could trade their coins for a lot of food, but let's hope gold never has a reason to hit $5,000 per ounce. This claim may have some legitimacy, for there are some real offers on genuine, fairly priced coins that really are only valid for a limited time before they're taken off sale. But these claims are usually only for coins or coin products made by the mint during the year it is being offered. Almost any coin or coin product being offered for sale in "Last Chance" ads will either turn up in the secondary market soon or are already available elsewhere. Many advertised "Last Chance" offers are for old silver coins that most folks in the general public have never seen before but are in fact common and available for, or just above, their melt values. "Just Found in a Hoard/Vault"
There are a plethora of ads that claim the seller has recently located a bunch of old silver coins or Indian Head cents (or similar coins) in a vault or hoard. Often, the seller will give the "discovered hoard" a high-sounding name. While some of these ads are selling genuinely scarce coins from verified hoards, in many cases they're selling common coins that were purchased in a mass lot that was given a special name. There's no denying that (most of) these coins are real. But they're hardly ever anything rare or unusual, and they can often be purchased for prices far lower what they're being offered for in the ad. You've probably seen the full-page, color ads before. A few old circulated Morgan dollars are scattered upon a photographic scene of the Old West. Old-timey font proclaims these coins "rare Morgan dollars over 90 years old." The price appears, to many unassuming non-collectors, perhaps too good to be true. Maybe it's $29.95. Even a price of $49.95 usually seems appealing for something like a large, old silver coin that yesteryear's frontier cowboys may have once used in an old saloon. Should you spend your money on coins advertised with any of the phrases mentioned in this article? That's for you to decide, but you might want to check out what these coins are worth before you spend money on buying them.